The Hampton MRL-36U, 36" Lat Bar, which is of a solid steel construction and Gel-Grip™ urethane ergonomic grips. 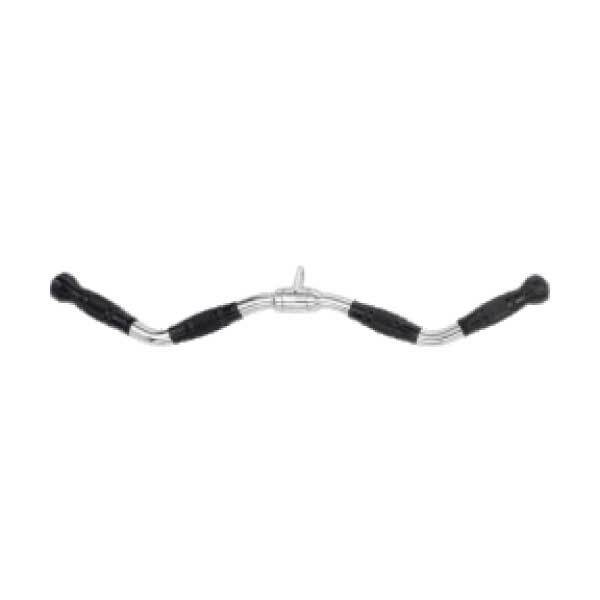 This bar will help you focus on the task at hand and not the grip. So take a narrow grip to isloate your middle back or a wider grip to widen your V taper. Phoenix resident, do you need some machine and bar strength attachments? 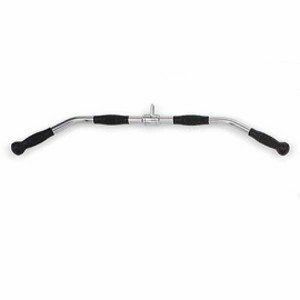 Perform your lat pulldowns with the best equipment there is with the Hampton MRL-36U 36″ Lat Bar, which is of a solid steel construction and Gel-Grip™ urethane ergonomic grips. This bar will help you focus on the task at hand and not the grip. So take a narrow grip to isloate your middle back or a wider grip to widen your V taper. With this great bar you can accomplish both! These cable-machine accessories are all hard chrome-coated with ergonomic urethane grips, and the set includes a vertical racking system to keep them all in order. Unlike their foam counterparts, our urethane grips don’t absorb sweat and are much more hygienic and durable. 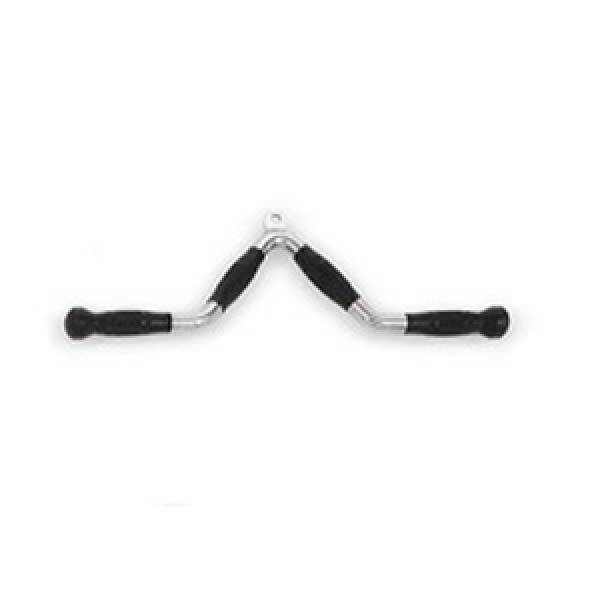 The Revolving Hampton Seated Row/Chinning Bar with Chrome and Urethane Ergonomic Grips is an extremely durable and comfortable bar. 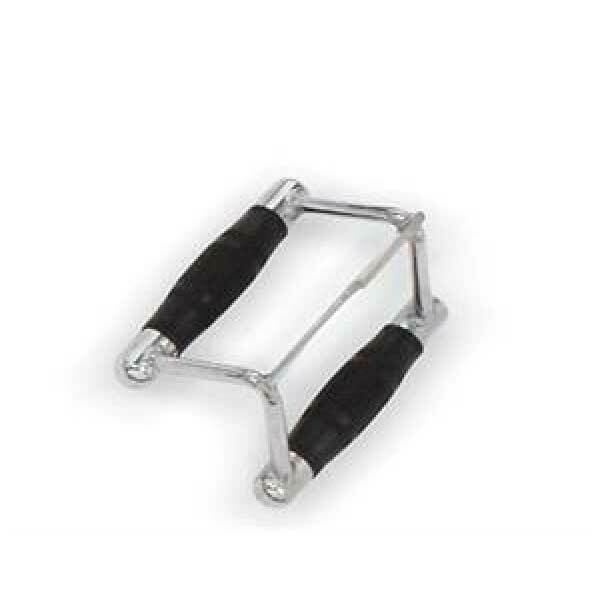 Get a secure and comfortable grip during your most intense cable rowing or chinning sets. Now you can concenterate on your effort and not your hands! 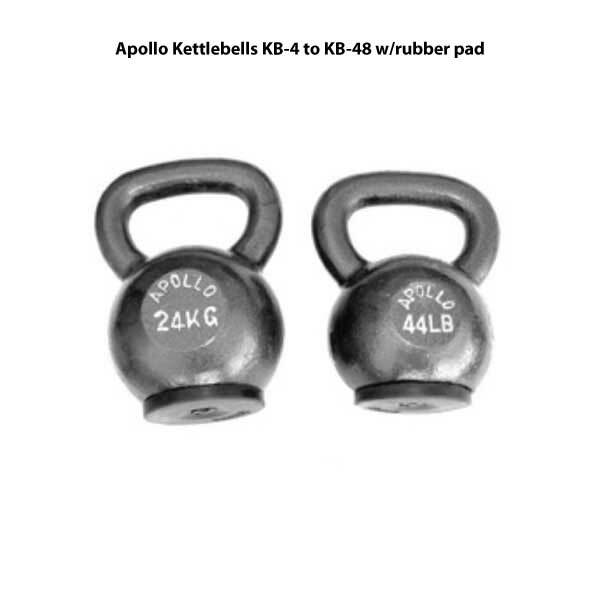 Available with Gel-Grip™ urethane handles. 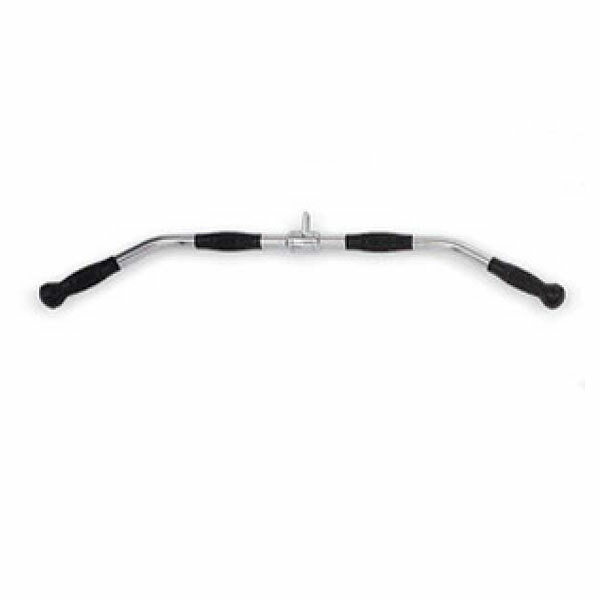 The Hampton 28″ Revolving Chrome Curl Bar with Urethane Ergo Grips, is available now at Fitness 4 Home Superstore. The bar is made of solid Steel construction, not tube steel and has ergonomic gel-grip urethane handles with a hard chrome finish. 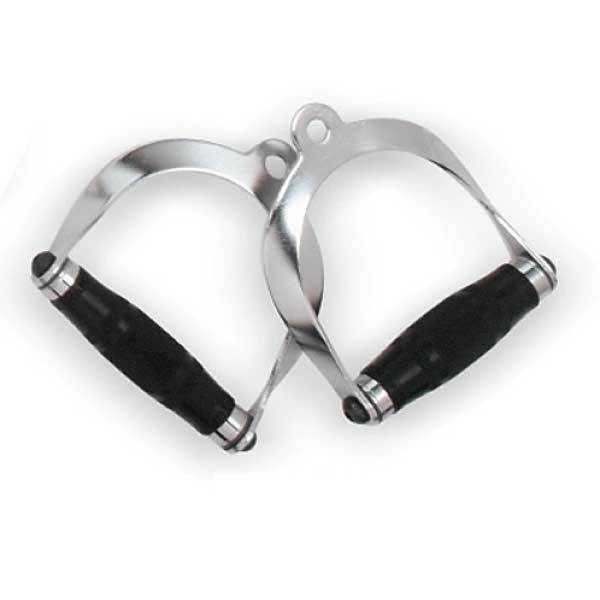 Hampton Delux Stirrup. It's Chrome with Urethane Coated Ergonomic Grips and Nylon Bushings. Hampton Multi Purpose 'V' Bar, is now outfitted with Gel-Grip™ urethane handles! 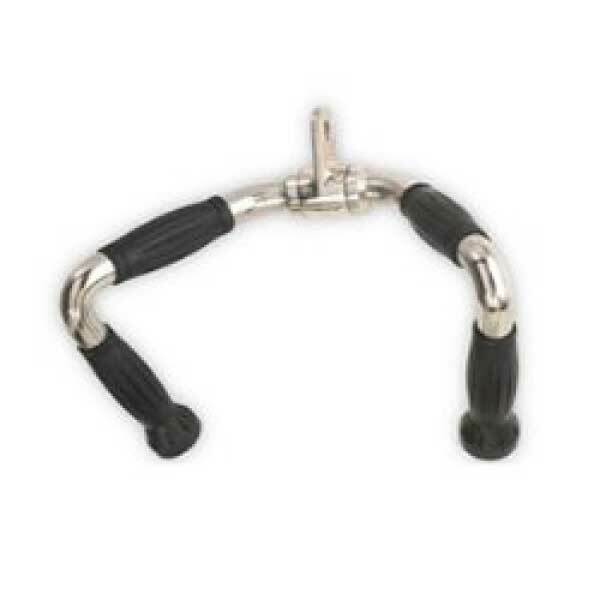 This Multi Purpose Chrome 'V' Bar with Urethane Ergonomic Grips features sturdy, solid steel construction. 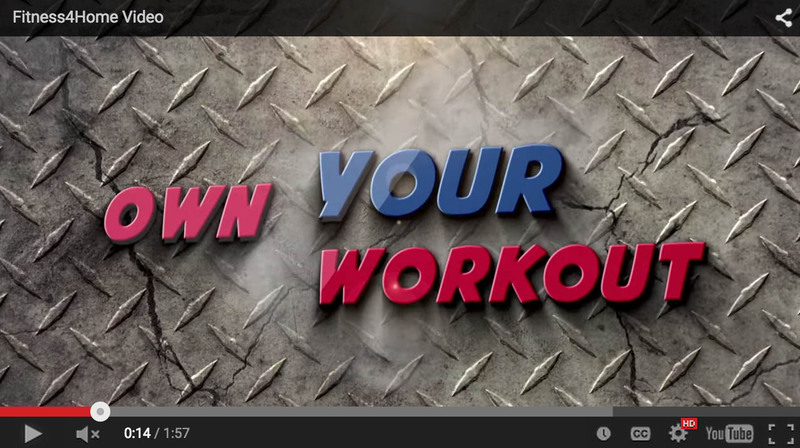 Work biceps, triceps, and back in comfort and to perfection with this great piece of equipment. Hampton Multi-Exercise Bar with revolving triceps press-down bar with chrome and urethane ergonomic grips is an extremely versatile bar with sets of grips in multiple locations. It is one one of our most popular machine attachment products and is now available with Gel-Grip urethane handles! 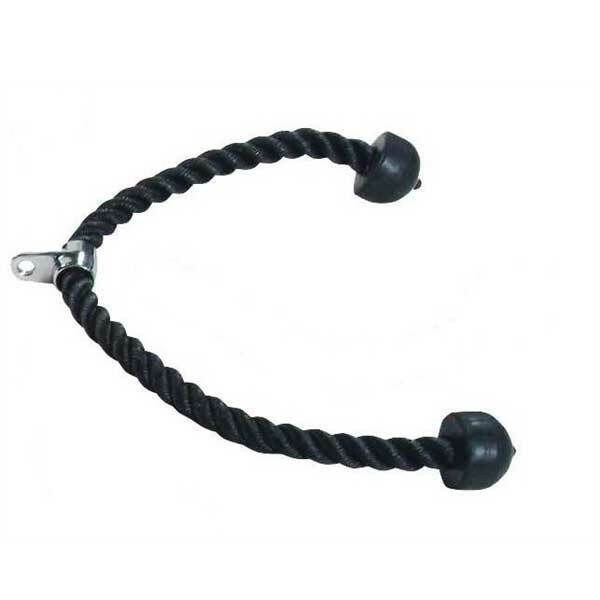 The Hampton Triceps “Press Down” Rope is a durable nylon rope with rubber sealed end caps for improved functional grip. The flexible rope in either single or double format enables a multitude of exercises, which can specifically target the individual tricep muscle groups.